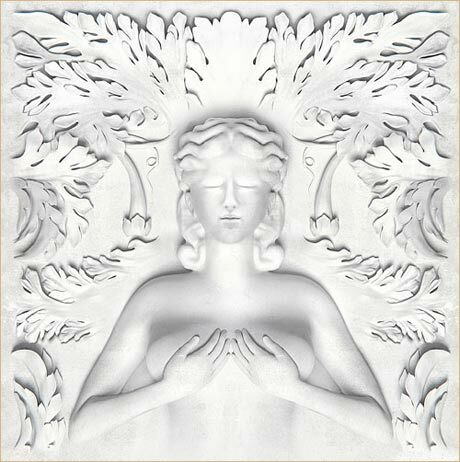 It was starting to look as if Cruel Summer, the long-anticipated crew album from Kanye West's G.O.O.D. Music crew, was finally ready to drop. We had an album cover (see above), along with an official release date. Now, however, we've been given the ol' rap album runaround, as the release has seemingly been pushed back two weeks. Originally slated for September 4, the record now looks to have been delayed until September 18. The news has not been confirmed by Def Jam just yet, but an Amazon listing points to the latter date as correct. Similarly, when asked to comment, G.O.O.D. Music signee Malik Yusef tweeted, "Yeah it looks like a push back, on #CRUELSUMMER but our wish has 4 additional features has MOSt DEFinitely been granted." No word on the other three additional guests, but Yusef is making it pretty damn clear that Mos Def has been added to the album's lineup. For now, that's all we know. So until they announce another delay, expect Cruel Summer to drop on September 18.